Ariarathes IV was the king of Cappadocia in 220–163 BC. 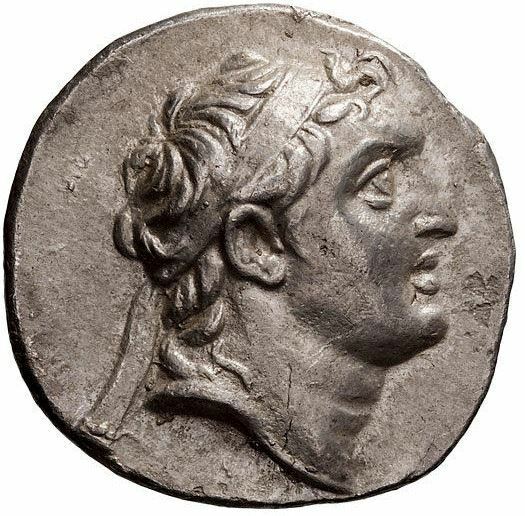 He was the son of Ariarathes III and his Greek Macedonian wife Stratonice. He was a child at his accession, and reigned for about 57 years. He married Antiochis, the daughter of Antiochus III, and, in consequence of this alliance assisted Antiochus in his war against the Romans. After the defeat of Antiochus by the Romans in 190 BC, Ariarathes sued for peace in 188 BC, which he obtained on favourable terms. Antiochis is said to have at first borne him no children, and accordingly substituted two surrogates, who were called Ariarathes and Orophernes. When later she actually bore her husband two daughters and a son, and then she informed Ariarathes of the deceit she had practised upon him, the two surrogates were sent away from Cappadocia, one to Rome, the other to Ionia. He was succeeded by his son, Ariarathes V.